Last Friday, the City of Fredericton was shaken by a terrible act of violence. In this difficult time for the community and our members, I offer my condolences and support to our members who are affected by the shooting, including members from CUPE 1709 (inside workers), CUPE 508 (outside workers), CUPE 1783 (transit workers), CUPE 3864 (professional technical group), CUPE 4848 (paramedics and dispatchers) and CUPE 908.01 (health care workers). 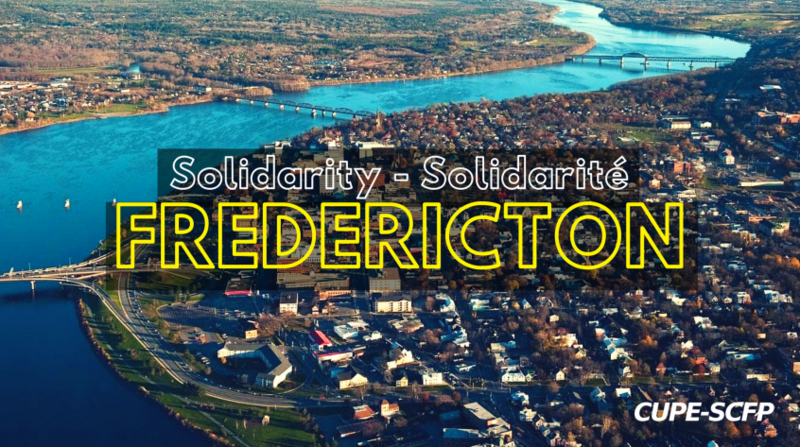 I know that you are working hard every day to make Fredericton run, and I want to thank all the members who stepped up to keep the City of Fredericton running during and after this tragedy. Your hard work is helping your community to heal the wound left by the shooting. I have no doubt that the people of Fredericton will continue to enjoy public spaces, services, and events thanks to you. I also want to extend a special thanks to our paramedics from CUPE 4848 who went with courage into an extremely dangerous situation to help the victims. Your actions give hope to the people of Fredericton and will not soon be forgotten.